Splat! 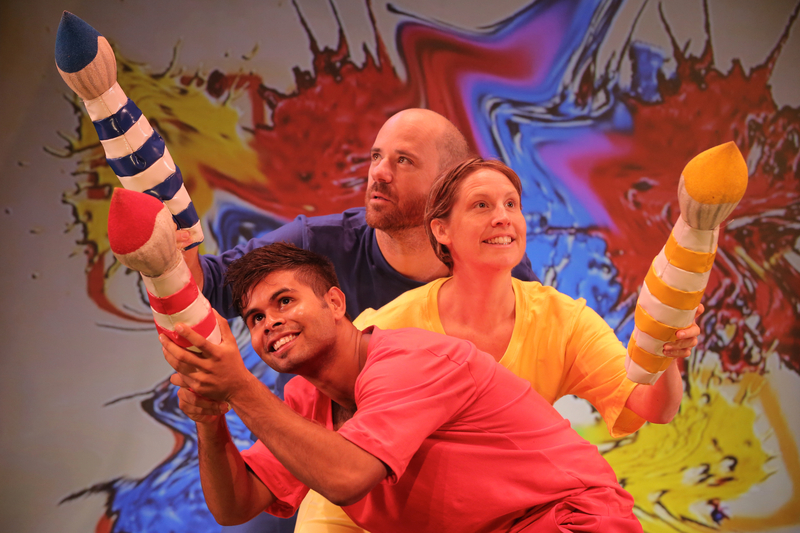 is a high energy fusion of circus, puppetry, dance, digital animation and paper-play that will leave you breathless from laughter and amazement. Be astounded by heart stopping acrobatics, astonishing physicality, internationally acclaimed clowning and the finest puppetry found anywhere in the world. Splat! is a wordless celebration of friendship designed to unleash creativity and expressiveness through play. 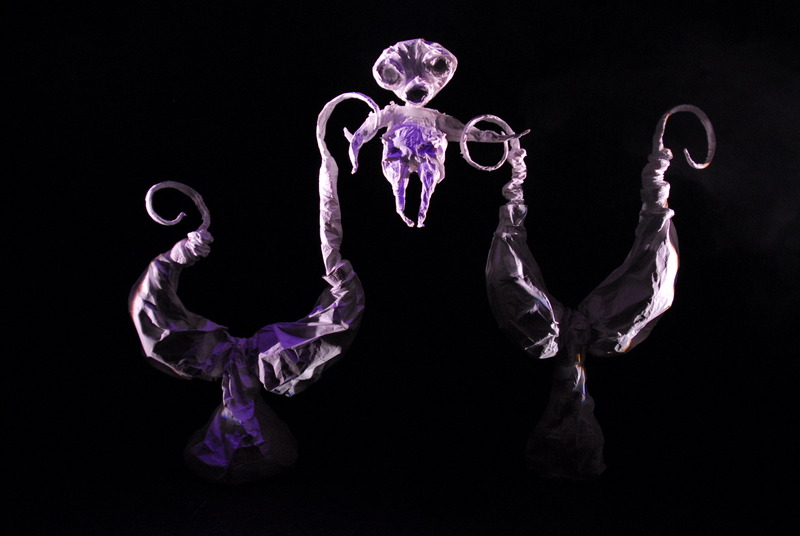 Puppetry is not created by just one person but the collective contribution of many. Splat! was devised through a collaborative process. The creative team, with special guests Simon Clarke, Lesley Edelmann, Cathy Henderson, Karen Hethey and Damon Lockwood are acknowledged for their valuable contribution to the work. "Their facial expressions alone – cheeky and joyful, hurt and pouty – are enough to rouse a laugh or sympathetic ahhhh. 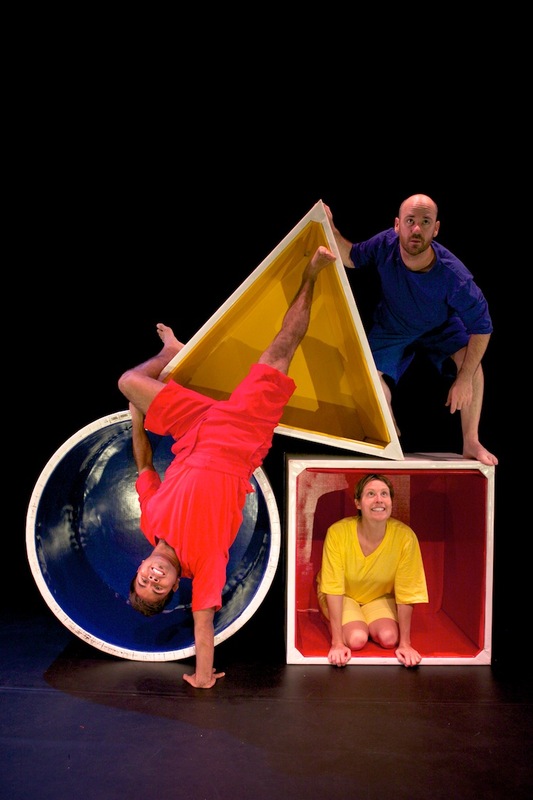 Add energetic circus clowning and Lee Buddle’s music and you have a lark for young and old"
"Audiences are captivated from the moment the light go down and during Splat! there were huge giggles galore!" "Splat! credits its audience with intelligence and at the same time knows what it takes to elicit a thrilled response."